A few months back, Parker and I attended story time at 1818 Farms. If you're in the Tennessee Valley area, I totally recommend checking it out - there's always something fun going on (yoga, gardening, photography and calligraphy classes, and lots more). As part of the story time experience, Parker got to feed the animals and even collect eggs from the hen house. They didn't have any eggs ready for sale that day, so we didn't go home with any... until this week! 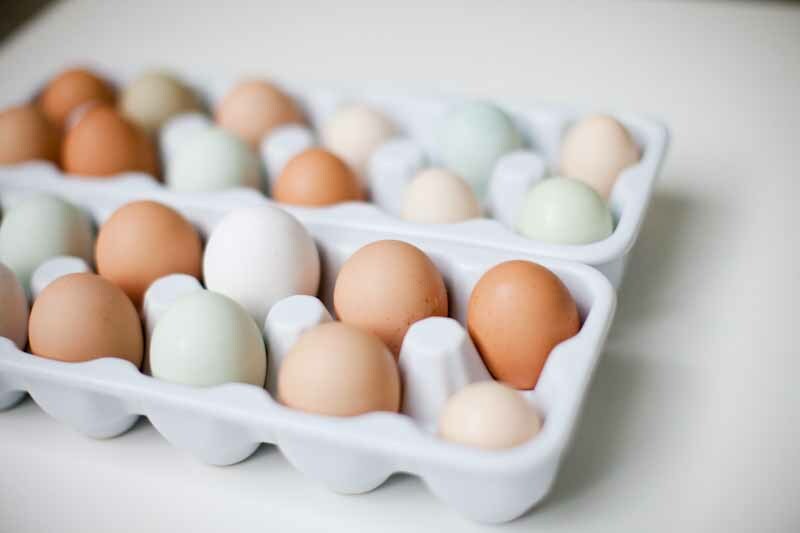 Yesterday, the farm brought all sorts of goodies into town to sell - including dozens of farm fresh eggs. I'm loving all the different colors from the different kinds of hens! 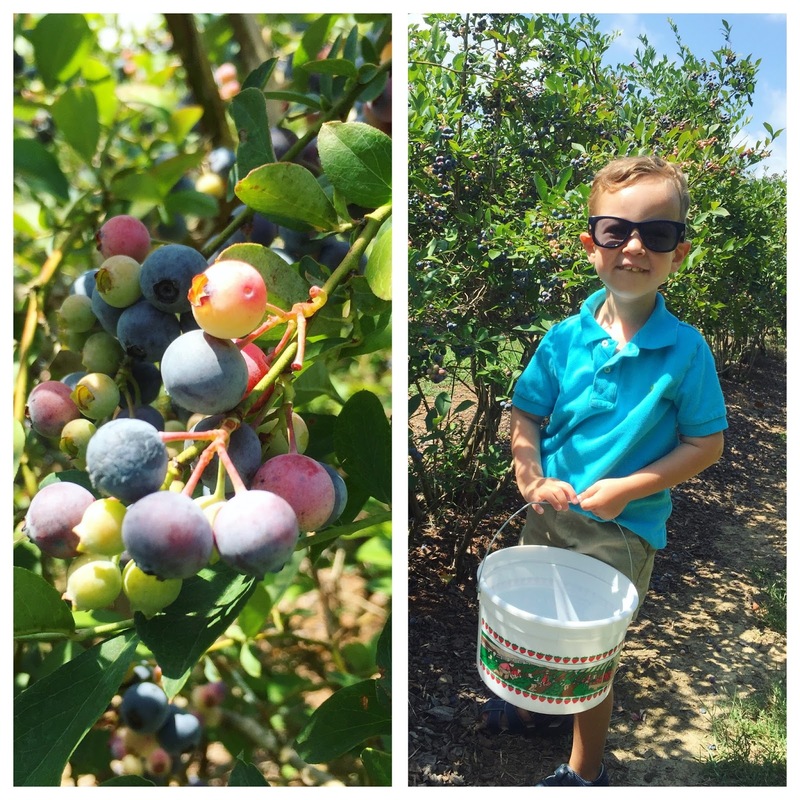 Parker has been asking to go blueberry picking pretty much since the car ride home from strawberry picking this spring :) We finally made it out to a (new to us) berry farm this past week, and little guy was stoked. He insisted we go right home and bake a blueberry crisp. I was happy to oblige. We made this recipe from Cooking Light, best served with vanilla bean ice cream of course! Most of our swim time these days is done at our community pool where I like to be a bit more covered up than, say, when we lived in Scottsdale and had a pool in our own backyard. The options, then, are one-pieces and tankinis. Much to my dismay, I've realized that one pieces are more flattering than tankinis... I say this, because bathrooms. Precisely the reason I refuse to purchase a romper. Rompers are cute and trendy, but does no one else use the restroom throughout the day? Anyway, I've resigned myself to the fact that one-pieces just look nicer. 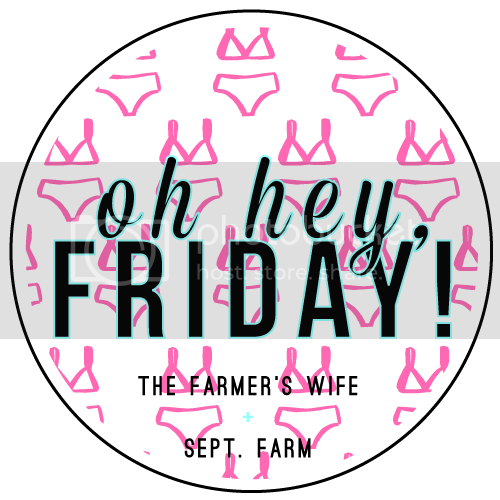 I had seen a few other bloggers write about this Trina Turk one-piece, so I took a gamble and ordered it... and it's super flattering! I seriously think it would look fabulous on anyone! It was a bit more than I would usually spend on a suit (husby, look away), but the quality was phenomenal which helped justify it. Also I promised myself I'd take really good care of it ;) Some colors are even on sale right now! Speaking of sale, my beloved Zella live-in leggings are on super sale right now. I own these exact black ones, and love them with tennies for running errands or even for flying. They are maybe the comfiest pants I own. The bright colors and patterns (like these below) are perfect far barre class - bonus, they don't fade! I know everyone is all about the pink and purple drinks from Starbucks right now, but I'm slow. So I just discovered the S'mores Frappucino that was so popular last summer. Ummmm, it's like heaven in a cup with a straw. Pink drink, maybe I'll get around to you in 2017. Those blueberries look so delicious! 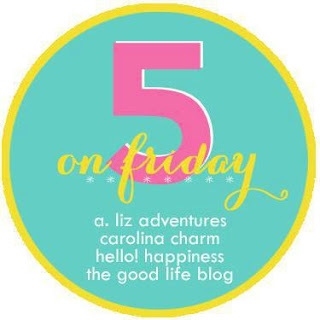 Happy Friday & enjoy your weekend at the pool! 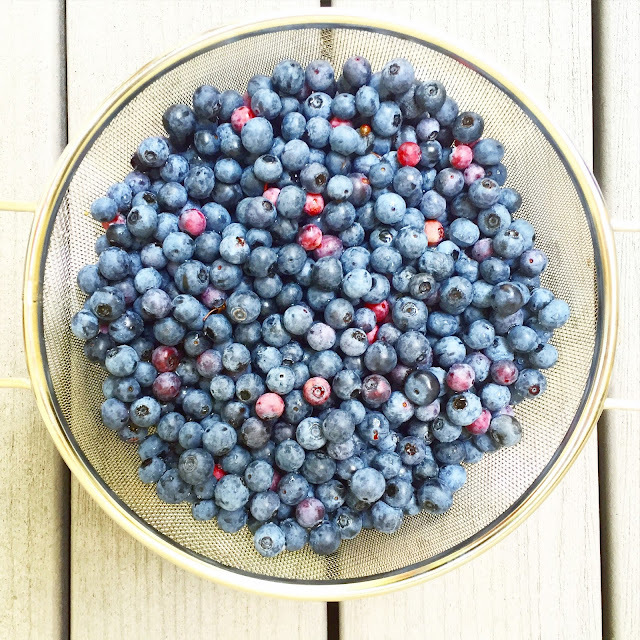 Those blueberries look so tasty! And that bathing suit is beautiful! I've heard so many people talking about the pink drink and I want to give it a whirl as well! I'm scared to ask for it because I'm worried they won't know what I'm talking about. Lol. That blueberry crisp looks so delicious! And s'mores fraps are where it's at - yum!! Fresh eggs are the best eggs and that blueberry crisp looks amazing. 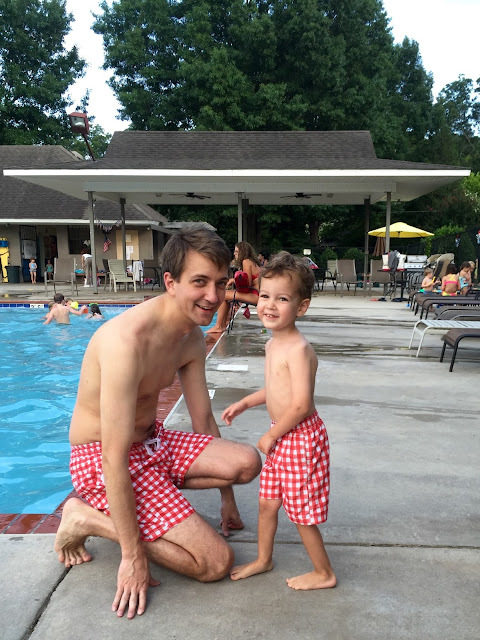 I cant get over those matching swim trunks either!! 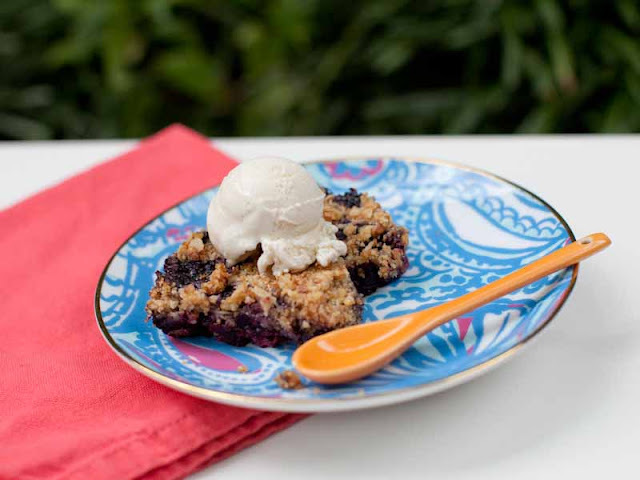 Mmm that blueberry crisp sounds/looks delicious! 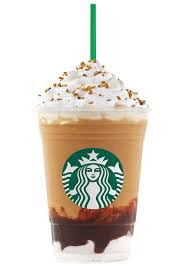 It really is the most delicious frap!